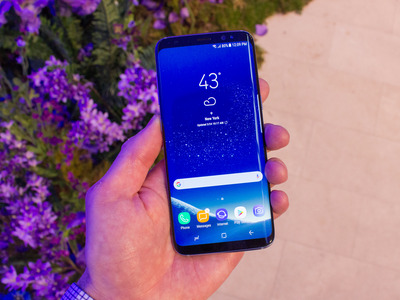 Samsung announced the Galaxy S8 on Wednesday, its follow-up to one of the most popular and best smartphones of 2016, the Galaxy S7. 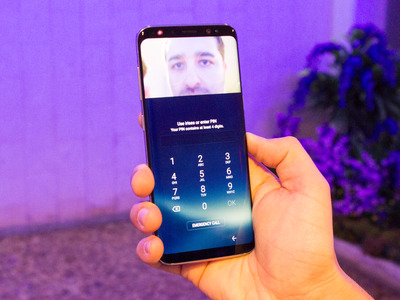 We had some hands-on time with the Galaxy S8 before Samsung announced the phone on Wednesday. 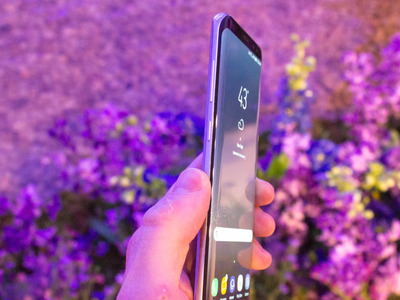 What we saw was a beautiful smartphone that stands out with its special design and features. 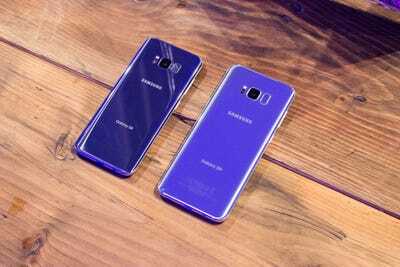 Here they are, Samsung's Galaxy S8 and Galaxy S8+. Note the ultra-narrow top and bottom borders. 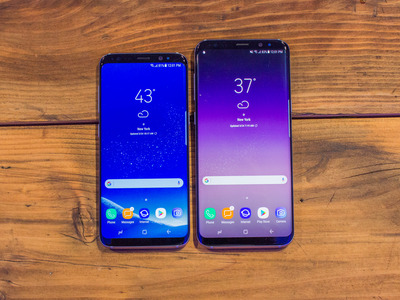 If the screens look tall, that's because they're taller than most smartphones. 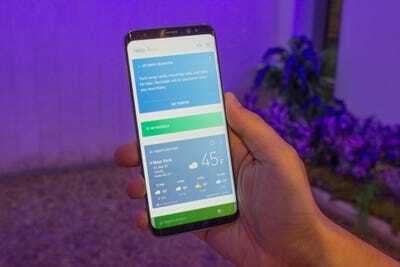 By having tall screens, the Galaxy S8 displays can look large while still staying manageable in your hands. 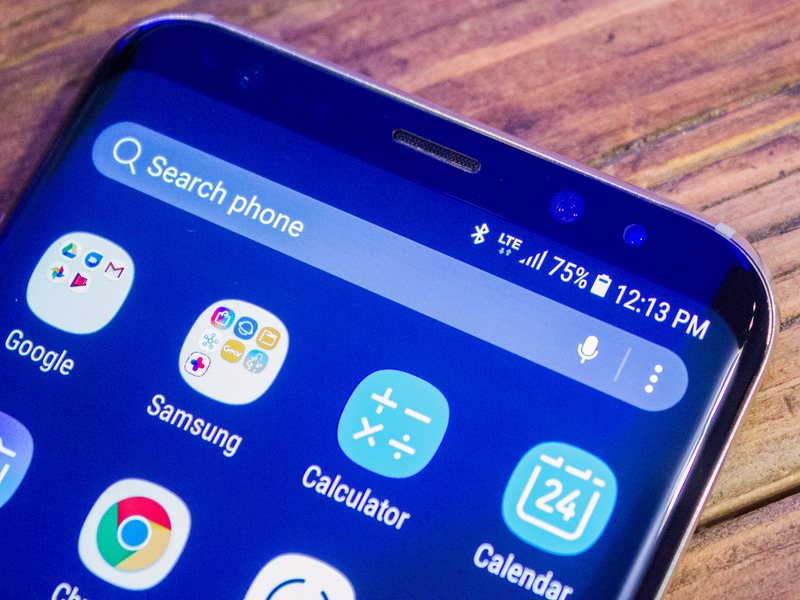 Tall screens also show more of your apps at one time. 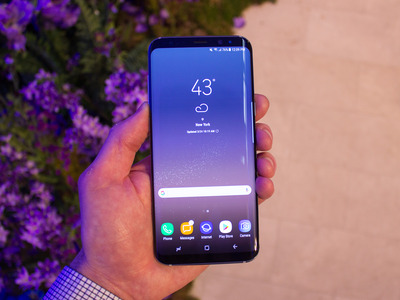 And this is the Galaxy S8+, which has a larger 6.2-inch AMOLED display. 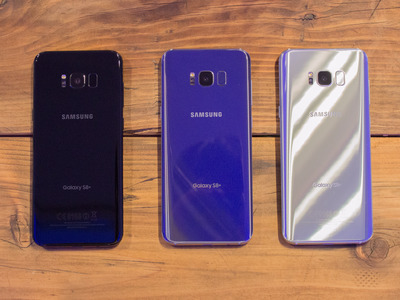 They have glass backs, just like the Galaxy S7, and they will be available in black, a somewhat purple grey, and silver. 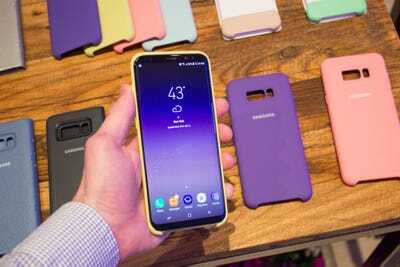 Unlike the Galaxy S7, though, the S8 won't come in a gold colour option. 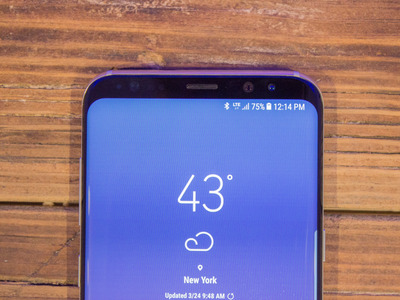 The home button has been replaced by an invisible pressure-sensitive button underneath the glass panel. You'll also find the Android function buttons on the bottom of the screen instead of Samsung's usual capacitive buttons. 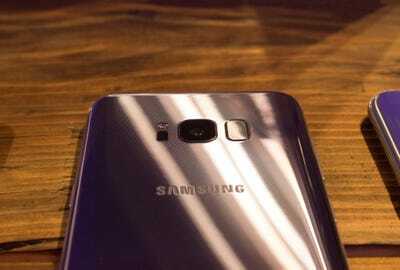 It still has the dual-pixel auto-focus technology that gave the S7 it's incredibly fast auto-focus. 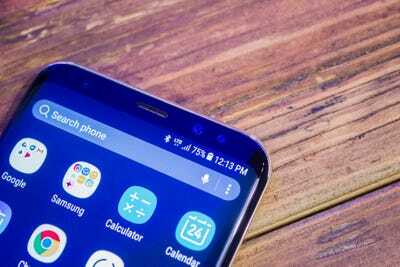 The Galaxy S8's front-facing camera is 8 megapixels, and Samsung added phase-detection auto-focus. It's not the same as the dual-pixel autofocus on the rear camera, but it's the same kind of focus found on most smartphones, including the iPhone 7. 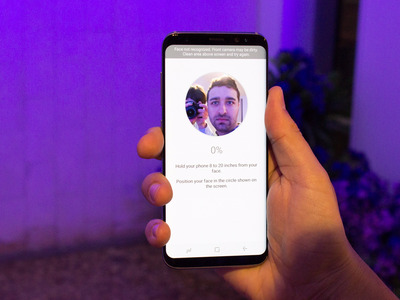 It will make for clearer, sharper selfies with better focus than the front-facing cameras on most smartphones. 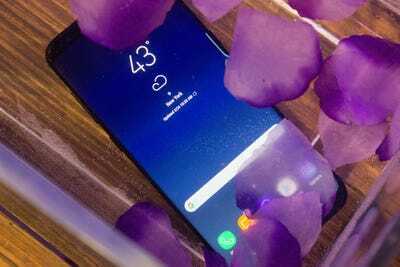 And here's the S8 in water -- complete with floating petals -- proving that it's water resistant. 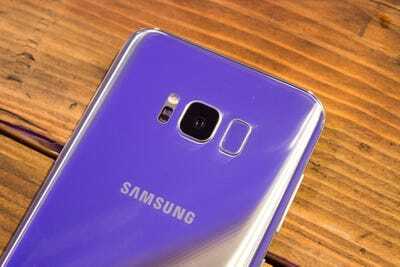 As the rumours claimed, the S8 comes with the iris detection from the Galaxy Note 7. 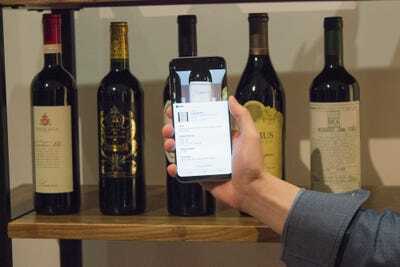 Bixby will also let you search for information about objects and products, like these wines, by pointing the Galaxy S8's camera at their labels. 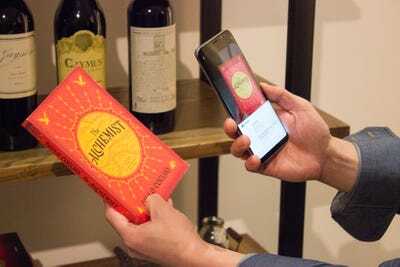 It looks like it can work on a variety of objects and products -- Samsung demonstrated it can fetch information about this book. 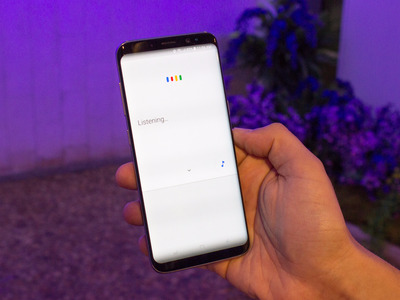 It will come with Google Assistant, too, which is Google's virtual AI assistant. 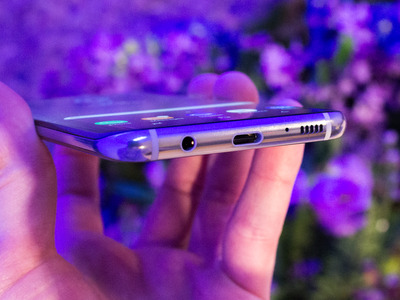 We're not sure yet, but there could be a clash of assistants in the Galaxy S8. 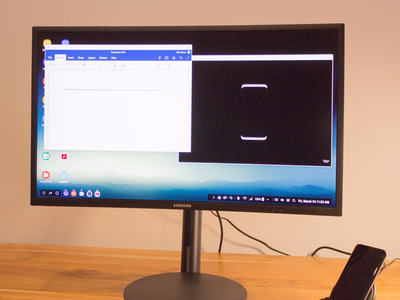 Samsung teamed up with Microsoft and Adobe for optimised apps that look pretty good on the monitor. 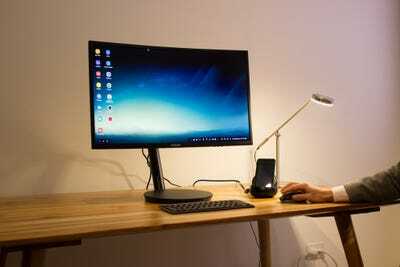 Otherwise, other 3rd-party apps will show up on the monitor as they do on your phone. 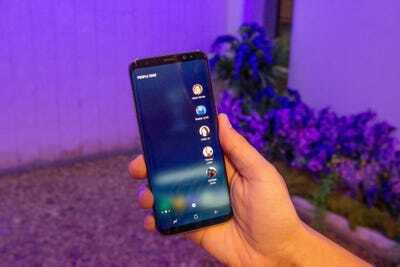 Here, the Galaxy S8 is running an optimised version of the Microsoft Word app, which looks nearly like the full version of Word. 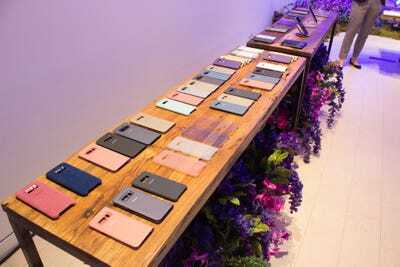 Expect a whole range of other cases with different materials, too, like felt and plastic. 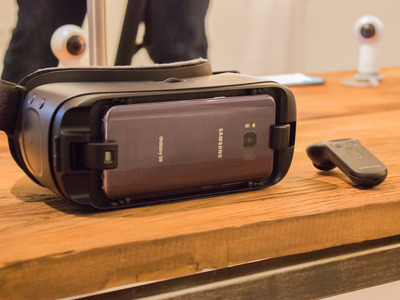 Those who pre-order the Galaxy S8 smartphones will get a free Gear VR with a controller, and an Oculus content package. 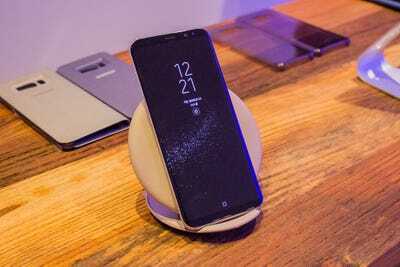 Samsung also said that the Galaxy S8 will come with free earphones from audio company AKG/Harman, which Samsung says are valued at $US99. 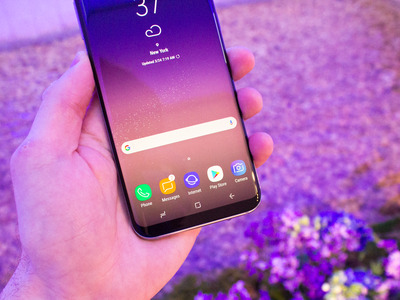 Pre-orders for the Galaxy S8 and S8+ will begin on March 30, but the phone goes on sale on April 21. Unfortunately, there's no detail on pricing yet.